Some legal and diplomatic initiatives are under way. David Keith’s pilot plant, Carbon Engineering, may be operational by next summer. David Keith talks fast and takes stairs two steps at a time, as though impelled by a sense of urgency. The Harvard scholar is interested in both the scientific and the public policy questions that bear on climate change and has a hand in a surprising range of projects related to climate and energy. He co-manages the Fund for Innovative Energy and Climate Research (FICER), established by Microsoft founder Bill Gates ’77, LL.D. ’07, to support innovative climate-change research, and has founded Carbon Engineering, a company that appears on track to build the first industrial-scale plant to capture carbon dioxide from the air for possible commercial use. But Keith is best known for his work on solar geoengineering: strategies to counter rising global temperatures by reducing the amount of sunlight that reaches Earth and its atmosphere. Such work might someday save the planet. 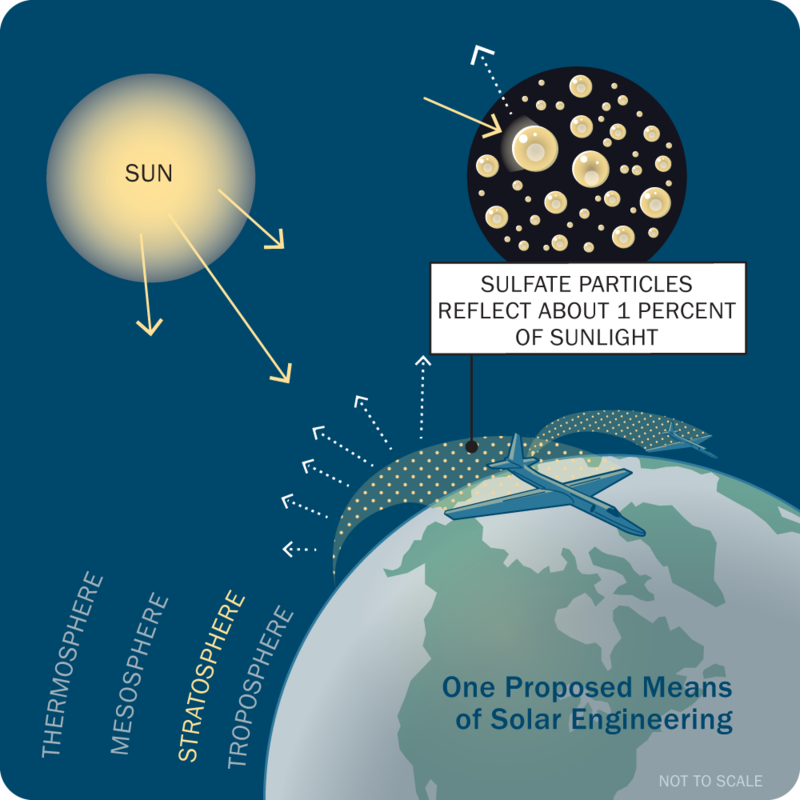 By Keith’s account, the topic of solar geoengineering has transitioned in the last five years from an obscure area, studied by only a handful of what he calls “geonerds,” to a subject that draws increasing attention from both scientists and the general public. That lends Keith’s own publicizing efforts some of their urgency; he not only sees a need to “broaden the scientific community to avoid the risk of groupthink,” but also wants to help shape the conversation about these strategies and chart the course of related research. Meanwhile, the world’s nations emitted an estimated 38.2 billion tons of carbon dioxide—the principal greenhouse gas, by volume—into the air in 2011, an increase of 3 percent over the previous year. This rate is expected to accelerate as developing nations such as China and India burn more coal and expand their vehicle fleets. In May, scientists reported that the average daily level of CO2 in the atmosphere surpassed 400 parts per million, a level last seen two to four million years ago. Even if humans miraculously halted all carbon emissions next week—an impossibility, and an economic catastrophe—the problem of climate change would still loom ahead: most of the heat-trapping gas will linger for decades or centuries. One study found that 40 percent of the peak concentration of CO2 would remain in the atmosphere for a thousand years after the peak is reached—and even then, inertia in the world’s warmed oceans will prevent a quick return to cooler temperatures. “We have already committed ourselves to a certain level of warming in the future, whatever we do about our emissions,” says Andy Parker, a fellow in the science, technology, and policy program at the Kennedy School’s Belfer Center. The most optimistic predictions for the rest of the century, cited by the Intergovernmental Panel on Climate Change in its 2007 assessment report, forecast a rise of 2.0 to 5.2 degrees by 2100, while the direst anticipate a rise of 4.3 to 11.5 degrees. Among the anticipated effects are rising sea levels, increasingly severe storms and droughts, and melting glaciers and permafrost. Given these projected long-term consequences of global warming, certain geoengineering strategies that seem to offer relatively quick-acting countermeasures could become especially attractive. In 1992, Keith and his mentor Hadi Dowlatabadi, a physicist and applied mathematician, both then at Carnegie Mellon, wrote one of the first papers assessing geoengineering strategies. Today, the term is often used to refer both to removing CO2from the air (for re-use or for storage in reservoirs such as the deep ocean—see “Capturing Carbon,” page 26), and to limiting the amount of sunlight that reaches the earth in the first place (where it can be trapped in the atmosphere by greenhouse gases and contribute to warming). Alan Robock, professor of environmental sciences at Rutgers, is one critic who has raised other concerns, theorizing that sunlight-blocking strategies could not only reduce the amount of electricity produced through solar power but also alter weather patterns, which might trigger widespread droughts. Keith does not find these possibilities convincing. He believes solar energy would be affected only in “extreme scenarios” with very heavy use of solar geoengineering, and he says he has not seen serious analysis that supports the possibility of drought. Studies have found that crop yields could increase in some regions, because plants grow more efficiently in diffuse light, and excess CO2 from the atmosphere could have a fertilizing effect. Yet one critical issue remains: solar geoengineering doesn’t address the underlying danger of CO2 emissions, which would continue to build up and create further problems, such as acidification of the oceans, which harms coral reefs and other marine life. 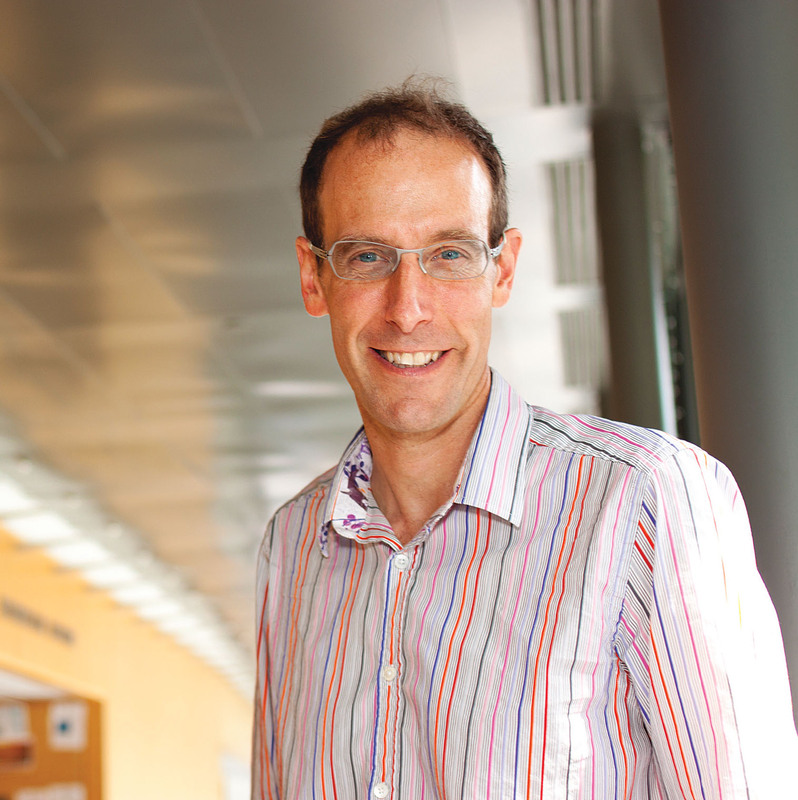 In 2007, Keith, then at the University of Calgary, and Daniel Schrag—professor of environmental science and engineering, and director of the Harvard Center for the Environment—invited a group of environmental scientists and policymakers to Cambridge for a daylong workshop on geoengineering. The meeting was held off-campus and closed to the public. Indeed, he hopes that the study, beyond its scientific aims, will also help establish a structure to govern similar small-scale research in the future. This spring, he and Edward Parson of the UCLA School of Law called for government oversight of geoengineering research; they say that self-regulation isn’t sufficient to manage the risks. But in place of a treaty, they suggest a nonbinding set of norms issued jointly by scientific bodies in the United States, Europe, and China: “sensible principles about how to manage risk, and about transparency and openness,” Keith says (see “Governing Geoengineering Research,” page 26). He would also like to see an international moratorium on large-scale deployment. Without broadly accepted governance, Keith says, field research will remain deadlocked. Funding agencies won’t support experiments that lack a system of oversight, but such systems won’t be created unless scientists are ready to conduct experiments. As a leader in his field, Keith’s conclusions have at times run counter to accepted wisdom. For example, many scientists who investigate and think about solar geoengineering stress that the emphasis on cutting global greenhouse gas emissions must not change, even if research reveals that geoengineering strategies are worth pursuing. Keith disagrees. He points out that many policymakers and scholars weigh climate-change solutions in terms of risks and costs, comparing, for example, the cost of climate damages to the cost of cutting emissions. “The money we spend cutting emissions will save money in climate damages,” Keith says, and he believes we should spend much more on current emissions-slashing efforts. But he points out, “If you reduce the risk even a little bit with solar geoengineering, then in a perfect world you should be able to put a little less money into cutting emissions,” thereby alleviating some of the daunting trillions in costs anticipated for future greenhouse-gas mitigation efforts.